Philosophy is the systematic study of the foundations of human knowledge with an emphasis on the conditions of its validity and finding answers to ultimate questions. While every other science aims at investigating a specific area of knowledge, such as physics or psychology, philosophy has been defined as “thinking about thinking.” At the same time, as expressed by its Greek etymology, philosophy is the love of wisdom. Traditionally at least, it is not the pursuit of knowledge for knowledge’s sake, but rather the attempt to discover the meaning and purpose of existence, including through intellectual means, but including also self-reflection, discipline, and religious practice and inquiry. Though the term philosophy is of Western origin and implies a kind of investigation typical of western culture, it has its equivalents in the various other cultures of the world, notably India, China and the Middle East. Philosophy has almost as many definitions as there have been philosophers, both as a subject matter and an activity. The word is derived from the ancient Greek word "Φιλοσοφία" (philo-sophia), which means "love of wisdom." Though no single definition of philosophy is uncontroversial, and the field has historically expanded and changed depending upon what kinds of questions were interesting or relevant in a given era, it is generally agreed that philosophy is a method, rather than a set of claims, propositions, or theories. Its investigations are based upon rational thinking, striving to make no unexamined assumptions and no leaps based on faith or pure analogy. Different philosophers have had varied ideas about the nature of reason, and there is also disagreement about the subject matter of philosophy. Some think that philosophy examines the process of inquiry itself. Others, that there are essentially philosophical propositions which it is the task of philosophy to prove. The issue of the definition of philosophy is nowadays tackled by Metaphilosophy (or the philosophy of philosophy). Modern usage of the term is extremely broad, covering reflection on every aspect of human knowledge and the means by which such knowledge can be acquired. In the contemporary English-speaking academic world, the term is often used implicitly to refer to analytic philosophy and, in non-English speaking countries, it often refers implicitly to a different, European strain, continental philosophy. Until the Renaissance, 'philosophy' and 'science' were considered the same discipline. Until the Renaissance, 'philosophy' and 'science' were considered the same discipline. This earlier tradition remains today in the expression PhD, or “Philosophiae Doctor” (doctor of philosophy), which is by no means limited to graduates of philosophy proper, as one can have a PhD in biology, music, or nursing to name but a few areas of expertise. Similarly, German-speaking academia still knows the division between “Philosophy I” (philosophy and the humanities) and “Philosophy II” (the natural sciences). Many ancient Greek philosophers distinguished the desire for wisdom from desires for material things, vices, and the satisfaction of bodily desires. The definition of wisdom for many ancient Greeks would have been about virtue and the desire for knowledge as opposed to false opinions. However, the term is notoriously difficult to define because of the diverse range of ideas that have been labeled as philosophy. The Penguin Dictionary of Philosophy defines it as the study of "the most fundamental and general concepts and principles involved in thought, action, and reality." The Penguin Encyclopedia says that philosophy differs from science in that philosophy's questions cannot be answered empirically, and from religion in that philosophy allows no place for faith or revelation. However, these points are called into question by the Oxford Dictionary of Philosophy, which states: "the late 20th-century… prefers to see philosophical reflection as continuous with the best practice of any field of intellectual enquiry." Indeed, many of the speculations of early philosophers in the field of natural philosophy eventually formed the basis for modern scientific explanations on a variety of subjects. A "philosophy" may also refer to a general worldview or to a specific ethic or belief that can be utterly unrelated to academic philosophical considerations. This meaning of the term is perhaps as important as the classical definition, because it affects each human being. Virtually everyone, knowingly or unknowingly, lives and operates based upon a set of values and beliefs that are often unexpressed and even unconscious. As a result, the may easily be incompatible and contradictory, leaving those who maintain them with a sense of uneasiness. If a man professes that “only money counts in life,” this is a philosophical stance. However, it is most likely to be at odds with other convictions held by that same individual, such as a secret passion for art or love for his family. Philosophy once competed with theology and mathematics for the title of “queen of the sciences.” Today, it is often considered empty and useless speculation, finding no place along practical and technical concerns and religious or ideological beliefs. However, efforts are being made to remove philosophy from its crumbling ivory tower and make it into a discipline, academic or other, that can lead to a clarification of one’s personal opinions and goals, as well as an informed evaluation of the many issues in public life. The ancient Greeks organized the subject into five basic categories: metaphysics, epistemology and logic, ethics, politics and aesthetics. This organization of the subject is still partly in use in Western philosophy today, but the notion of philosophy has become more restricted to the key issues of being, knowledge, and ethics. At the same time, there has been an explosion of “philosophies of,” meaning a philosophical inquiry into just about any field, including politics and art, but also science (philosophy of science), religion (philosophy of religion) and many others. There are many places where these subjects overlap, and there are many philosophical ideas that cannot be placed neatly into only one of these categories. Thus, philosophy involves asking questions such as whether God exists, what is the nature of reality, whether knowledge is possible, and what makes actions right or wrong. More specifically, each branch has its own particular questions. Logic asks: How do we distinguish arguments from premises to conclusions as valid or invalid? How can we know that a statement is true or false? Epistemology asks: Is knowledge possible? How do we know what we know? What kinds of questions can we answer? Ethics asks: Is there a difference between morally right and wrong actions, values, or institutions? Which actions are right and which are wrong? Are values absolute or relative? What is justice? What are natural laws? How is it best to live? What is happiness? Is there a normative value on which all other values depend? Are values 'in' the world (like tables and chairs) and if not, how should we understand their ontological status? Aesthetics asks: What is beauty? What is art? And metaphysics asks: What is reality? What exists? Do things exist independently of perception? Schools, with each their specific set of doctrines, have originated, evolved, and sometimes disappeared centered on specific areas of interest. Thus, early (pre-Socratic Greek philosophy centered on the issue of cosmology, ontology, and generally questions on the origin and nature of reality, while Socrates redirected the focus of philosophy on ethics and epistemology. Generally, each era of human history and each area of the world has concentrated its attention on those fields and topics that were of greatest interest to its particular culture and society. Few systems, such as those of Plato and Aristotle, cover the majority of all possible philosophical endeavors. The interaction between philosophical worldviews can be considered both vertically and horizontally. Horizontally, all thought originating in a particular period and area of the world will share common traits, even though individual thinkers may oppose each other vehemently. Thus, the middle ages was a time of interest in God and religious questions, while the modern era emphasized issues related to epistemology. African thought has a natural interest in spiritual issues and spiritualism, while Eastern philosophy emphasizes the harmony and complementarity of humans and nature. Vertically, certain trends, largely associates with specifics areas of interest (e.g., ethics or epistemology), have evolved over the centuries, with early thinkers directly and indirectly influencing much later thinkers through a complex web of interaction. This has given rise to doctrines like idealism and realism, the first insisting on the spiritual or ideal essence of reality, the second generally insisting on the practical and often material nature of things. But such overall doctrinal characterizations can be very misleading: Plato, the foremost idealist, was a realist when it cam to his belief in the “reality” of ideas. Thus, there have been an immense variety of forms and combinations of these two major trends, resulting in a complexity that defies any attempt at a fixed classification. More specific trends or doctrines, within a certain area of philosophy, such as deontology in ethics, can be followed with somewhat greater ease and accuracy. Nevertheless, a clear-cut and generally accepted articulation can hardly ever emerge. The history of Western philosophy is traditionally divided into three eras: Ancient philosophy, Medieval philosophy, Modern philosophy and, more vaguely, Contemporary philosophy, covering twentieth century developments and what is often referred to as the "post-modern" period or post-modernism. Ancient Greek philosophy may be divided into the pre-Socratic period, the Socratic period, and the post-Aristotelian period. The pre-Socratic period was characterized by metaphysical speculation, often preserved in the form of grand, sweeping statements, such as "All is fire," or "All changes." Important pre-Socratic philosophers include Thales, Anaximander, Anaximenes, Democritus, Parmenides, Heraclitus, Pythagoras, and Empedocles. 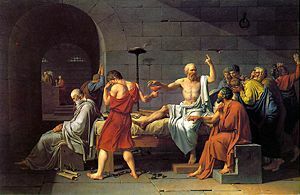 The Socratic period is named in honor of the most recognizable figure in Western philosophy, Socrates, who, along with his pupil Plato, revolutionized philosophy through the use of the Socratic method, which developed the very general philosophical methods of definition, analysis, and synthesis. While no writings of Socrates survive, his influence as a "skeptic" is transmitted through Plato's works. Plato's writings are often considered basic texts in philosophy as they defined the fundamental issues of philosophy for future generations. These issues and others were taken up by Aristotle, who studied at Plato's school, the Academy, and who often disagreed with what Plato had written. The subsequent period ushered in such philosophers as Euclid, Epicurus, Chrysippus, Pyrrho, and Sextus Empiricus. A woman philosopher of the Ancient period is Hipparchia the Cynic, who flourished around 300 B.C.E. Though many of these philosophers may seem irrelevant given current scientific knowledge – some, for example, believed that all movement was illusion – their systems of thought continue to influence both philosophy and science today. The tradition started by Socrates and Plato, which was to remain as the most important overall tradition in Western philosophy, had a strong idealistic bent in that it emphasized the importance of ideas and the spirit over material existence, as well as the human ability to reach absolute truth. Combined with the beliefs of theism, particularly Christianity, it would in the following centuries take on many different shapes but remain as the fundamental tradition in western thought. This current of thought was nevertheless increasingly challenged by forms of thought emphasizing skepticism, materialism, and pragmatism, culminating in movements such as positivism and scientism. Medieval philosophy is the philosophy of Western Europe and the Middle East during what is now known as the medieval era or the Middle Ages, roughly extending from the fall of the Roman Empire to the Renaissance period. Medieval philosophy is defined partly by the process of rediscovering the ancient culture developed by Greeks and Romans in the classical period, and partly by the need to address theological problems and to integrate sacred doctrine (in Christianity and Judaism) and secular learning. Many of the early Christian philosophers took as their starting point the theories of Plato and later Aristotle. Others, however, such as Tertullian, rejected Greek philosophy as antithetical to revelation and faith (“Athens has nothing to do with Jerusalem”). Augustine of Hippo remains as the greatest representative of early Christian thought. 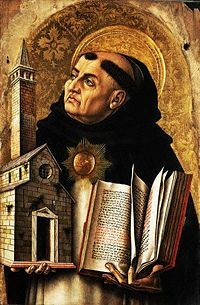 The medieval period brought Christian scholastic philosophy, with writers such as Anselm, Thomas Aquinas, John Duns Scotus, and William of Ockham. The philosophers in the scholastic Christian tradition and philosophers in the other major Abrahamic religions, such as the Jewish philosopher Maimonides and the Muslim philosophers Avicenna, Al-Ghazali, and Averroes, were intercommunicative. A female Christian philosopher of the period was a student of Abelard named Heloise. Another was Hildegard von Bingen who, besides her accomplishments in music, healing, and spirituality was also an important religious thinker and leader. Some problems discussed throughout this period are the relation of faith to reason, the existence and unity of God, the object of theology and metaphysics, the problems of knowledge, of universals, and of individuation. An important debate was that of Realism vs. Nominalism. Classically, realism is the doctrine that abstract entities corresponding to universal terms like 'man' have a real existence. It is opposed to nominalism, the view that abstract or universal terms are words only, or denote mental states such as ideas, beliefs, or intentions. The latter position, famously held by William of Ockham, is called 'conceptualism'. Medieval philosophy had been concerned primarily with argument from authority and the analysis of ancient texts using Aristotelian logic. The Renaissance saw an outpouring of new ideas that questioned authority. Roger Bacon (1214-1294?) was one of the first writers to advocate putting authority to the test of experiment and reason. Niccolò Machiavelli (1469-1527) challenged conventional ideas about morality. Francis Bacon (1561-1626) wrote in favor of the methods of science in philosophical discovery. Modern philosophy is usually considered to begin with the revival of skepticism and the genesis of modern physical science. Canonical figures include Montaigne, Descartes, Locke, Spinoza, Leibniz, Berkeley, Hume, and Immanuel Kant. Chronologically, this era spans the 17th and 18th centuries, and is generally considered to end with Kant's systematic attempt to reconcile Leibniz and Hume. If Descartes has marked the beginning of modern philosophy, Kant’s revolution marked the beginning of late modern philosophy and led directly to contemporary developments. It meant a clear-cut break with traditional dogmatism and empiricism, the philosophical justification of scientific certainty on the level of phenomena, and a degree of agnosticism as far as ultimate matters (God, eternal life) were concerned. Later modern philosophy is usually considered to begin after the philosophy of Immanuel Kant at the beginning of the 19th-century. German idealists, Fichte, Hegel, and Schelling, expanded on the work of Kant by maintaining that the world is rational. Unlike Kant, they believed that the Absolute Reality was knowable and they produced elaborate speculative systems. In the last hundred years, philosophy has increasingly become an activity practiced within the modern research university, and accordingly it has grown more specialized and more distinct from the natural sciences. Much philosophy in this period concerns itself with explaining the relation between the theories of the natural sciences and the ideas of the humanities or common sense. It is arguable that later modern philosophy ended with contemporary philosophy's shift of focus from nineteenth century philosophers to twentieth century philosophers. Philosophers such as Heidegger, the later Wittgenstein, and Dewey, opened a type of philosophical discourse that would usher in post-modernism and its rejection of all foundationalism (the belief that it is possible to reach an ultimate foundation of knowledge), as exemplified by thinkers such as Derrida, Quine, Michel Foucault, and Rorty. The late modern period in philosophy, beginning in the late nineteenth century and lasting into the 1950s, was marked by a developing schism between the "Continental" (European) tradition and the "Analytic" tradition associated with English-speaking countries. The split between these two currents can be seen as the continuation of the division between continental rationalism and British Empiricism. The two traditions appear radically different, yet they have a common root. Both reject the Cartesian and empiricist traditions that had dominated philosophy since the early modern period, and both also reject the "obsession with psychological explanation" that pervaded the logic and method of idealist philosophy. What underlies the Analytic tradition (culminating with thinkers such as Bertrand Russell), is the view (originally defended by Ockham) that philosophical error arises from misunderstandings generated by language. According to analytic philosophers, the true meaning of ordinary sentences is "concealed by their grammatical form," and we must translate them into their true form (understood as their logical form) in order to clarify them. "Continental" philosophy, in the hands of the thinkers such as Edmund Husserl, Martin Heidegger, Jean-Paul Sartre and Maurice Merleau-Ponty, took a different turn in its preoccupation with consciousness. Both traditions tend to strongly reject any claim to certain knowledge about a given reality. Their dominance on the contemporary philosophical scene creates an atmosphere that is contrary to any affirmation of dogmatic belief or even the attempt to elaborate a worldview claiming to give definitive answers to fundamental questions. Ironically, the main actors on the contemporary philosophical arena have often been challenged for their dogmatic affirmation that certainty is impossible and they have sometimes been accused of promoting personal views under the cover of an overall criticism of established views. Although the word "philosophy" originates in the Western tradition, many figures in the history of other cultures have addressed similar topics in similar ways. The philosophers of the Far East are discussed in Eastern philosophy, while the philosophers of North Africa and the Near East, because of their strong interactions with Europe, are usually considered part of Western Philosophy. Many societies have considered philosophical questions and built philosophical traditions based upon each other's works. Eastern and Middle Eastern philosophical traditions have influenced Western philosophers. Russian, Jewish, Islamic and recently Latin American philosophical traditions have contributed to, or been influenced by, Western philosophy, yet each has retained a distinctive identity. The differences between traditions are often well captured by consideration of their favored historical philosophers, and varying stress on ideas, procedural styles, or written language. The subject matter and dialogues of each can be studied using methods derived from the others, and there are significant commonalities and exchanges between them. "Eastern philosophy" refers to the broad traditions that originated or were popular in India, Persia, China, Japan, Korea and, to an extent, the Middle East (which overlaps with Western philosophy due to being the origin of the Abrahamic religions). In the history of the Indian subcontinent, following the establishment of an Aryan–Vedic culture, the development of philosophical and religious thought over a period of two millennia gave rise to what came to be called the six schools of astika, or orthodox, Indian or Hindu philosophy. These schools have come to be synonymous with the greater religion of Hinduism. The origins of Hindu philosophy are to be traced in Vedic speculations (circa 1500 B.C.E.) about the universe and Rta - universal order. Other major texts with philosophical implications include the Upanishads, the Bhagavad Gita and the Brahma Sutra, from circa 1000 B.C.E. to 500 B.C.E. Hindu philosophy constitutes an integral part of the culture of Southern Asia, and is the first of the Dharmic philosophies which were influential throughout the Far East. The great diversity in thought and practice of Hinduism is nurtured by its liberal universalism. Centuries before the western (notably Greek) tradition developed its own forms of philosophical speculation, India already had well-developed schools of philosophy. Most followed spiritual and idealistic lines involving speculation about the unity in diversity, giving Hindu polytheism a clear theistic bent. In these forms of speculation, Brahman was often seen as the underlying, unitary and universal Being of which the various divinities were mere expressions. At the same time, Brahman was often seen as being ultimately one with Atman, the equivalent of the human soul. Nevertheless, atheistic and materialistic philosophy also existed in the same environment. The extent of the direct link between this philosophical speculation and the later Greek philosophy is a matter of dispute. An influence of Indian thought on Middle Eastern, including Hebrew, thought has also been suggested. What is certain is that, to one degree or another, the Ancient Hindu tradition and the Ancient (though less ancient) Greek tradition, being both part of the Indo-European civilization have interacted, with India being the source. Plato in particular is often said to have been under the influence of the Hindu wisdom tradition. Persian philosophy can be traced back as far as Old Iranian philosophical traditions and thoughts, with their ancient Indo-Iranian roots. These were considerably influenced by Zarathustra's teachings. Throughout Iranian history and due to remarkable political and social influences such as the Macedonian, the Arab, and the Mongol invasions of Persia, a wide spectrum of schools of thought arose. These espoused a variety of views on philosophical questions, extending from Old Iranian and mainly Zoroastrianism-influenced traditions to schools appearing in the late pre-Islamic era, such as Manicheism and Mazdakism, as well as various post-Islamic schools. Iranian philosophy after Arab invasion of Persia is characterized by different interactions with the Old Iranian philosophy, the Greek philosophy and with the development of Islamic philosophy. The Illumination School and the Transcendent Philosophy are regarded as two of the main philosophical traditions of that era in Persia. Confucius, illustrated in Myths & Legends of China, 1922, by E.T.C. Werner. Philosophy has had a tremendous effect on Chinese civilization, and East Asia as a whole. Many of the great philosophical schools were formulated during the Spring and Autumn Period and Warring States Period, and came to be known as the Hundred Schools of Thought. The four most influential of these were Confucianism, Daoism, Mohism, and Legalism. Later on, during the Tang Dynasty, Buddhism from India also became a prominent philosophical and religious discipline. (It should be noted that Eastern thought, unlike Western philosophy, did not express a clear distinction between philosophy and religion.) Like Western philosophy, Chinese philosophy covers a broad and complex range of thought, possessing a multitude of schools that address every branch and subject area of philosophy. In China, the Dao De Jing of Lao-Tzu and the Analects of Confucius both appeared around 600 B.C.E., about the same time that the Greek pre-Socratics were writing. Of all the Chinese philosophies, however, it is quite safe to say Confucianism has had the greatest impact on East Asia. Confucianism is collective teachings of the Chinese sage K’ung-fu-Tzu (Confucius or Master Kong) who lived from 551 – 479 B.C.E. His philosophy focused in the fields of ethics and politics; emphasizing greatly on personal and governmental morality, correctness of social relationships, justice, traditionalism, and sincerity. Confucianism, along with Legalism, is responsible for creating the world’s first meritocracy, which is the system/belief that a person’s status should be determined by one’s ability instead of ancestry, wealth, and/or friendships. It could be debatably said that Confucianism is most responsible for shaping the Chinese culture and state (during Imperial China). Throughout history, Chinese philosophy has been molded to fit the prevailing school of thought in China. The Chinese schools of philosophy, with the exception of the period during the Qin dynasty, have been relatively tolerant of one another. Instead of competition with one another, they generally have cooperated and shared ideas, which they would usually incorporate into their own. 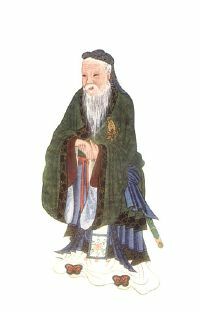 For example, Neo-Confucianism was a revived version of old Confucianism principles that appeared around the Ming Dynasty with Buddhist, Taoist, and Legalist aspects. During the Industrial and Modern Ages, Chinese philosophy has also began to integrate concepts of Western philosophy as steps for modernization. Democracy, republicanism, and industrialism attempted to be incorporated into the Chinese philosophy by Sun Yat-sen at the beginning of the twentieth century. Mao Zedong added Marxism. Like Japan, Chinese philosophy has become somewhat of a melting pot of ideas. It accepts new concepts, while holding on to old beliefs. See also: Yin-Yang, Tao, I ChingConfucianism, Taoism, Buddhism, Legalism, Hundred Schools of Thought. Other philosophical traditions, such as African philosophy, are rarely considered by foreign academia. Since emphasis is mainly placed on Western philosophy as a reference point, the study, preservation and dissemination of valuable, but lesser known, non-Western philosophical works face many obstacles. Key African philosophers include the Fulani Usman Dan Fodio, founder of the Sokoto Caliphate of Northern Nigeria and Umar Tall of Senegal; both were prolific Islamic scholars. In the post-colonial period, different images of what could be argued as "African" Philosophy from the level of epistemology have risen. These could include the thoughts and enquiries of such individuals as Cheik Anta Diop, Francis Ohanyido, C.L. Momoh, and Chinweizu. The philosophy of the modern and contemporary African world, including the diaspora, is often known as Africana Philosophy. Key philosophers include Frantz Fanon, Kwesi Wiredu, Paget Henry, Lewis Gordon, Mabogo Percy More and many others. Rationalism is any view emphasizing the role or importance of human reason. Extreme rationalism tries to base all knowledge on reason alone. Rationalism typically starts from premises that cannot coherently be denied, then attempts by logical steps to deduce every possible object of knowledge. The first rationalist, in this broad sense, is often held to be Parmenides (fl. 480 B.C.E. ), who argued that it is impossible to doubt that thinking actually occurs. But thinking must have an object, therefore something beyond thinking really exists. Parmenides deduced that what really exists must have certain properties – for example, that it cannot come into existence or cease to exist, that it is a coherent whole, that it remains the same eternally (in fact, exists altogether outside time). Zeno of Elea (born c. 489 B.C.E.) was a disciple of Parmenides, and argued that motion is impossible, since the assertion that it exists implies a contradiction. Plato (427–347 B.C.E.) was also influenced by Parmenides, but combined idealistic rationalism with a form of realism. The philosopher's work is to consider being, and the essence of things. But the characteristic of essences is that they are universal. The nature of a man, a triangle, a tree, applies to all men, all triangles, all trees. Plato argued that these essences are mind-independent “forms,” that humans (but particularly philosophers) can come to know by reason, and by ignoring the distractions of sense-perception. Is an idea a true copy of the real thing that it represents? How can physical objects such as chairs and tables, or even physiological processes in the brain, give rise to mental items such as ideas? This is part of what became known as the mind-body problem. If all we are aware of our ideas, how can we know that anything else exists apart from ideas? 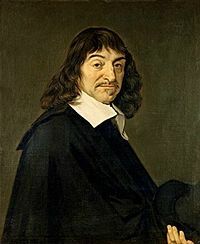 René Descartes, who is often called the father of modern philosophy, proposed that philosophy should begin with a radical skepticism about the possibility of obtaining reliable knowledge. In 1641, in Meditations on First Philosophy, he used this method of doubt in an attempt to establish what knowledge is most certain. He chose as the foundation of his philosophy the famous statement Cogito ergo sum ("I think, therefore I am"). He then attempted to rebuild a system of knowledge based on this single supposedly indubitable fact. This involves proving the existence of God, using, among other means, a version of the ontological argument). Descartes’ approach became known as rationalism; it attracted such philosophers as Baruch Spinoza, Gottfried Leibniz, and Christian Wolff. Empiricism, in contrast to rationalism, downplays or dismisses the ability of reason alone to yield knowledge of the world, preferring to base any knowledge we have on our senses. John Locke propounded the classic empiricist view in An Essay Concerning Human Understanding in 1689, developing a form of naturalism and empiricism on roughly scientific (and Newtonian) principles. Hume's work A Treatise of Human Nature (1739-1740) combined empiricism with a spirit of skepticism. Other philosophers who made major contributions to empiricism include Thomas Hobbes and George Berkeley (Bishop Berkeley). During this era, religious ideas played a mixed role in the struggles that preoccupied secular philosophy. Bishop Berkeley's famous idealist refutation of key tenets of Isaac Newton is a case of an Enlightenment philosopher who drew substantially from religious ideas. Other influential religious thinkers of the time include Blaise Pascal, Joseph Butler, and Jonathan Edwards. Other major writers, such as Jean-Jacques Rousseau and Edmund Burke, took a rather different path. The restricted interests of many of the philosophers of the time foreshadow the separation and specialization of different areas of philosophy that would occur in the 20th century. Immanuel Kant wrote his Critique of Pure Reason (1781/1787) in an attempt to reconcile the conflicting approaches of rationalism and empiricism and establish a new groundwork for studying metaphysics. Kant's intention with this work was to look at what we know and then consider what must be true about the way we know it. One major theme was that there are fundamental features of reality that escape our direct knowledge because of the natural limits of the human faculties. Kant's work was continued in the work of Johann Gottlieb Fichte, Friedrich Schelling, Georg Wilhelm Friedrich Hegel and Arthur Schopenhauer. Kant's philosophy, known as transcendental idealism, would later be made more abstract and more general, in the movement known as German idealism, a type of absolute idealism. German idealism rose to popularity with G. W. F. Hegel's publication in 1807 of Phenomenology of Spirit. In that work, Hegel asserts that the aim of philosophy is to spot the contradictions apparent in human experience (which arise, for instance, out of the recognition of the self as both an active, subjective witness and a passive object in the world) and to get rid of these contradictions by making them compatible. Hegel believed that every thesis creates its own antithesis, and that out of the two arises a synthesis, a process known as the "Hegelian dialectic." Philosophers in the Hegelian tradition include Ludwig Andreas Feuerbach and Karl Marx. The late nineteenth century brought about the rise of a new philosophy in the New World. 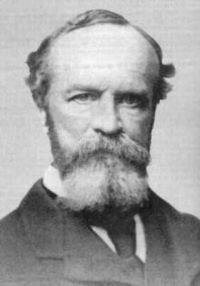 Charles Peirce and William James are considered to be the co-founders of loosely allied schools of pragmatism, which holds that the truth of beliefs does not consist in their correspondence with reality, but in their usefulness and efficacy. It led to what would later be called instrumentalism, the idea that what is important for a good theory is how useful it is, not how well it represents reality. Since the usefulness of any belief at any time might be contingent on circumstance, Peirce and James conceptualized final truth as that which would be established only by the future, final settlement of all opinion. Thinkers in this tradition included John Dewey, George Santayana, and C. I. Lewis. Though not widely recognized under the term "pragmatist," philosophers like Henri Bergson and G. E. Moore shared many of the same foundational assumptions with the pragmatists. Pragmatism has recently been taken in new directions by Richard Rorty and Hilary Putnam. Critics have accused pragmatism of falling victim to a simple fallacy: because something that is true proves useful, that usefulness is the basis for its truth. 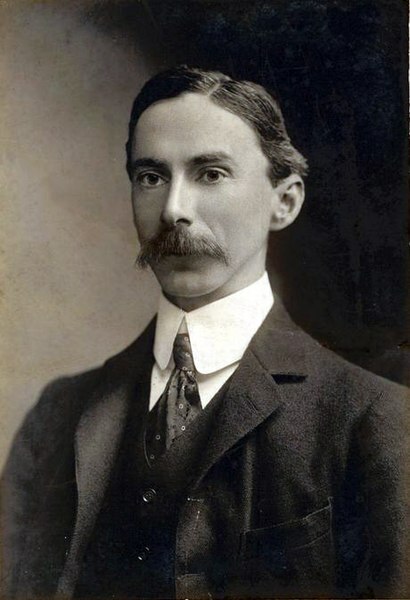 With the publication of Bertrand Russell and Alfred North Whitehead's Principia Mathematica in 1910-1913, mathematical logic attracted the interest of many philosophers. With this increased interest in mathematical logic came the rise in popularity for the view known as logical positivism and related theories, all of which shared a commitment to the reliability of empirical tests. Philosophers such as Rudolf Carnap and Hans Reichenbach considered only confirmable or falsifiable claims to be genuine philosophy; anything that could not be deduced from testable claims was considered mere superstition or dogma. At the same time that logic was coming to prominence in America and Britain, a separate movement occurred in continental Europe. Under the influence of Franz Brentano, Edmund Husserl developed a new method to study human problems in his Logical Investigations (1900-1901) and Ideas (1913). The method, known as phenomenology, was used to examine the details of human experience and consciousness in order to observe the most basic facts of human existence; the examination included not just observations of the way the world appears but observations of one's own thoughts, and when and how they occur. An important part of Husserl's phenomenological project was to show that all conscious acts are directed at or about objective content, a feature that Husserl called intentionality. 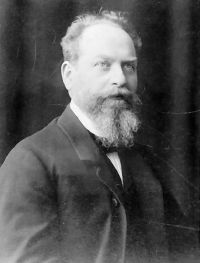 Husserl's work was immediately influential in Germany, with the foundation of phenomenological schools in Munich and Göttingen. Phenomenology later achieved international fame through the work of such philosophers as Martin Heidegger (formerly Husserl's research assistant), Maurice Merleau-Ponty, and Jean-Paul Sartre. Indeed, through the work of Heidegger and Sartre, Husserl's focus on subjective experience influenced aspects of existentialism. Heidegger expanded the study of phenomenology to elaborate a philosophical hermeneutics. Hermeneutics is a method of interpreting texts by drawing out the meaning of the text in the context it was written in. Heidegger stressed two new elements of philosophical hermeneutics: that the reader brings out the meaning of the text in the present, and that the tools of hermeneutics can be used to interpret more than just texts (e.g., "social text"). Elaborations of philosophical hermeneutics later came from Hans-Georg Gadamer and Paul Ricoeur. Existentialism is a philosophical movement that rejects any predetermined role for human beings. Unlike tools, which are designed in order to fill some preconceived role (for example, a knife's preconceived role, or essence, is to cut), human beings are capable, to some extent at least, of deciding for themselves what constitutes their own essence. Although they didn't use the term, the nineteenth-century philosophers Søren Kierkegaard and Friedrich Nietzsche are widely regarded as the fathers of existentialism. Their influence, however, has extended beyond existentialist thought. Religious thinkers were among those influenced by Kierkegaard. Christian existentialists include Gabriel Marcel, Nicholas Berdyaev, Miguel de Unamuno, and Karl Jaspers. The Jewish philosophers Martin Buber and Lev Shestov have also been associated with existentialism. Two of the targets of Kierkegaard and Nietzsche's writings were the philosophical systems of Hegel and Schopenhauer respectively, which they had each admired in their youths. Kierkegaard thought Hegel ignored or excluded the inner subjective life of living human beings, while Nietzsche thought Schopenhauer's pessimism led people to live an ascetic, or self-hating, life. 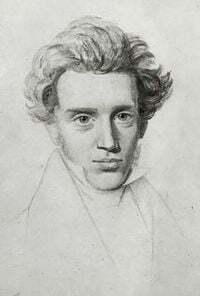 Kierkegaard suggested that “truth is subjectivity,” arguing that what is most important to a living individual are questions dealing with one's inner relationship to life. Nietzsche proposed perspectivism, which is the view that truth depends on individual perspectives. Influence notably by Kierkegaard, the German philosopher Martin Heidegger is generally considered an existentialist thinker and one of the key figures in 20th century thought. In Being and Time (1927), he presented a method of rooting philosophical explanations in human existence (Dasein) to be analysed in terms of existential categories. In The Letter on Humanism, however, Heidegger explicitly rejected the existentialism of Jean-Paul Sartre. Karl Jaspers is another important German existentialist philosopher. Sartre became the best-known proponent of existentialism, exploring it not only in theoretical works such as Being and Nothingness, but also in plays and novels. Sartre, along with Albert Camus, Maurice Merleau-Ponty and Simone de Beauvoir, all represented an avowedly atheistic branch of existentialism, which is now more closely associated with their ideas of the novel nausea, contingency, bad faith, and the absurd than with Kierkegaard's spiritual angst. Nevertheless, the focus on the individual human being, responsible before the universe for the authenticity of his or her existence, is common to all these thinkers. The term analytic philosophy roughly designates a group of philosophical methods that stress clarity of meaning above all other criteria. The philosophy developed as a critique of Hegel and his followers in particular, and of speculative philosophy in general. Some schools in the group include 20th-century realism, logical atomism, logical positivism, and ordinary language. The motivation is to have philosophical studies go beyond personal opinion and begin to have the cogency of mathematical proofs. In 1921, Ludwig Wittgenstein published his Tractatus Logico-Philosophicus, which gave a rigidly "logical" account of linguistic and philosophical issues. At the time, he understood most of the problems of philosophy as mere puzzles of language, which could be solved by clear thought. Years later he would reverse a number of the positions he had set out in the Tractatus, notably in his second major work, Philosophical Investigations (1953). Investigations encouraged the development of "ordinary language philosophy," which was promoted by Gilbert Ryle, J.L. Austin, and a few others. 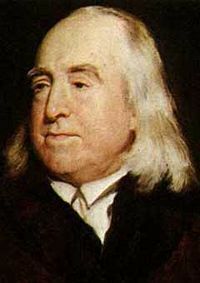 The "ordinary language philosophy" thinkers shared a common outlook with many older philosophers (Jeremy Bentham, Ralph Waldo Emerson, and John Stuart Mill), and it was this style of philosophical inquiry that characterized English-language philosophy for the second half of the twentieth century. The implied outlook for "ordinary language philosophy" is that philosophy is thus not a unified whole but a set of unrelated problems. Great thinkers whose work indicates an acceptance of this general outlook include Albert Einstein, Sigmund Freud, P. F. Strawson, Donald Davidson, Hilary Putnam, John Rawls, Noam Chomsky, and the continental thinker Mikhail Bakhtin. Analytic philosophy in general considers that a good approach to philosophy must itself be based on a careful examination of the meaning of language. One debate that has dominated the attention of ethicists in the history of the modern era has been between consequentialism (the idea that the consequences of a particular action form the basis for any valid moral judgment about that action) and deontology (that decisions should be made solely or primarily by considering one's duties and the rights of others). Jeremy Bentham and John Stuart Mill are famous for propagating utilitarianism, which is the idea that the fundamental moral rule is to strive toward the "greatest happiness for the greatest number." However, in promoting this idea they also necessarily promoted the broader doctrine of consequentialism: that is to say, the idea that the morally right thing to do in any situation is determined by the consequences of the actions under consideration. 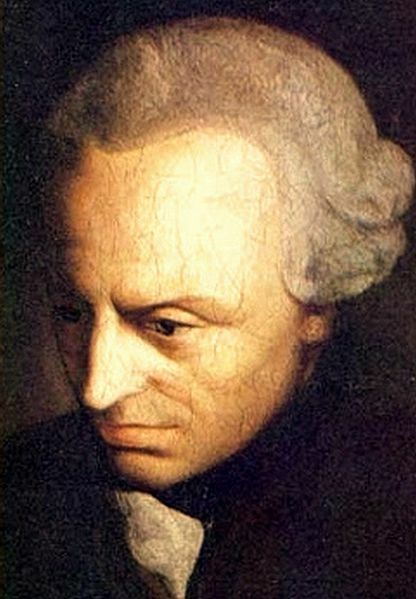 In contrast to consequentialism, Immanuel Kant argued that moral principles were simply products of reason. Kant believed that the incorporation of consequences into moral deliberation was a deep mistake, since it would deny the necessity of practical maxims to the working of the will. According to Kant, reason requires that we conform our actions to the categorical imperative, which is an absolute duty unrelated to possible consequences. An important 20th-century deontologist, W.D. Ross, argued for weaker forms of duties called prima facie duties. More recent works have emphasized the role of character in ethics, a movement known as the aretaic turn (that is, the turn towards virtues). One strain of this movement followed the work of Bernard Williams. Williams noted that rigid forms of both consequentialism and deontology demanded that people behave impartially. This, Williams argued, requires that people abandon their personal projects, and hence their personal integrity, in order to be considered moral. G.E.M. Anscombe, in an influential paper, "Modern Moral Philosophy" (1958), revived virtue ethics, inspired by Aristotle's ethics, as an alternative to what was seen as the entrenched positions of Kantianism and consequentialism. Virtue ethics has since gained some adherence and has been defended by such philosophers as Philippa Foot, Alasdair MacIntyre and Rosalind Hursthouse. Based on a consideration of their approaches, these three currents in ethical thought can be seen as concurring, rather than conflicting with each other, at least on a very general level. While deontology focuses on the motivation, utilitarianism focuses on the results, and virtue ethics on the moral qualities required to achieve these results through proper motivation. From ancient times, and well beyond them, the roots of justification for political authority were inescapably tied to outlooks on human nature. Plato declared that the ideal society would be run by an oligarchy of philosopher-kings, since those best at philosophy are best able to realize the good. Even Plato, however, required philosophers to make their way in the world for many years before beginning their rule at the age of fifty. For Aristotle, humans are social animals, and governments are set up in order to pursue good for the community. Aristotle reasoned that, since the state (polis) was the highest form of community, it has the purpose of pursuing the highest good. Aristotle understood political power to be the result of natural inequalities in skill and virtue. Because of these differences, he favored an aristocracy of the able and virtuous (meritocracy). For Aristotle, the person cannot be complete unless he or she lives in a community. Nicolas of Cusa rekindled Platonic thought in the early 15th century. He promoted democracy in Medieval Europe, both in his writings and in his organization of the Council of Florence. Unlike Aristotle and the Hobbesian tradition to follow, Cusa saw human beings as equal and divine (that is, made in God's image), so democracy would be the only just form of government. Cusa's views are credited by some as sparking the Italian Renaissance, which gave rise to the notion of "Nation-States." Later, Niccolò Machiavelli rejected the views of Aristotle and Thomas Aquinas as unrealistic. The ideal sovereign is not the embodiment of the moral virtues; rather the sovereign does whatever is successful and necessary, not what is morally praiseworthy. 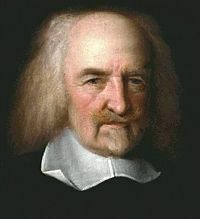 Thomas Hobbes also contested many elements of Aristotle's views. For Hobbes, human nature is anti-social: people are essentially egoistic, and this egoism makes life difficult in the natural state of things. Moreover, Hobbes argued, though people may have natural inequalities, these are trivial, since no particular talents or virtues that people may have will make them safe from harm inflicted by others. For these reasons, Hobbes concluded that the state arises from a common agreement to raise the community out of the state of nature. This can only be done by the establishment of a sovereign, in which (or whom) is vested complete control over the community, and which is able to inspire awe and terror in its subjects. Many in the Enlightenment were unsatisfied with existing doctrines in political philosophy, which seemed to marginalize or neglect the possibility of a democratic state. One attempt to overturn these doctrines was that of Jean-Jacques Rousseau, who responded to Hobbes by claiming that a human is by nature a kind of "noble savage," and that society and social contracts corrupt this nature. In his Second Treatise on Government John Locke agreed with Hobbes that the nation-state was an efficient tool for raising humanity out of a deplorable state, but argued that the sovereign may become an abominable institution compared to the relatively benign state of nature. Following the doctrine of the fact-value distinction, due in part to the influence of David Hume and his student Adam Smith, appeals to human nature for political justification were weakened. Nevertheless, many political philosophers, especially moral realists, still make use of some essential human nature as a basis for their arguments. Though often seen as a wholly abstract field, philosophy is not without practical applications. The most obvious applications are those in ethics – applied ethics in particular – and in political philosophy. The political philosophies of Confucius, Kautilya, Sun Zi, Ibn Rushd, Immanuel Kant, John Locke, Thomas Hobbes, Niccolò Machiavelli, Jean-Jacques Rousseau, Karl Marx, John Stuart Mill, Mahatma Gandhi, Robert Nozick, Ayn Rand and John Rawls have shaped and been used to justify the existence of governments and their actions. In the field of the philosophy of education, progressive education as championed by John Dewey has had a profound impact on educational practices in the United States in the twentieth century. Carl von Clausewitz's political philosophy of war has had a profound effect on statecraft, international politics and military strategy in the twentieth century, especially in the years around World War II. Other important applications can be found in epistemology, which aid in understanding the notions of what knowledge, evidence, and justified belief are. The philosophy of science discusses the underpinnings of the scientific method. Aesthetics can help to interpret discussions of art. Ontology, even within the artificial intelligence definition, has had important consequences for logic and computer science. Deep ecology and animal rights examine the moral situation of humans as occupants of a world that has non-human occupants to consider also. Aesthetics can help to interpret discussions of music, literature, the plastic arts, and the whole artistic dimension of life. In general, the various "philosophies of…" such as the philosophy of law, can provide workers in their respective fields with a deeper understanding of the theoretical or conceptual underpinnings of their fields. Often philosophy is seen as an investigation into an area not understood well enough to be its own branch of knowledge. What were once philosophical pursuits have evolved into the modern day fields of psychology, sociology, linguistics, and economics (among others). What should, and what should not, be counted as philosophy, has been heavily debated by many philosophers through the ages. See also pseudophilosophy. Relativists may claim that any statement can be counted as a philosophical statement, as there is no objective way to disqualify it of being so. Also, the very open-minded nature of philosophy makes many people skeptical when it comes to limiting the concept of philosophy to something tangible and not something open-ended. However, several philosophers or philosophical directions have had ideas about what philosophy is and what it shouldn't be. Plato, or the protagonist in his dialogues, Socrates, who arguably coined the term, held up a number of virtues for anyone who wanted to call themselves a philosopher. Amongst other things, he rejected that rhetorics had a place in philosophy, most famously in Gorgias. The logical positivists denied the soundness of metaphysics and traditional philosophy, and affirmed that statements about metaphysics, religion and ethics are devoid of cognitive meaning and thus nothing but expression of feelings or desires. What constitutes sound philosophical work is sometimes summed up by the term Philosophical method. Also, it is often agreed upon that arguments should try to avoid vague, non-defined or ill-defined concepts; avoid mixing together different concepts that share the same term; avoid heavy use of concepts with strong connotations; and being logically sound. It has also been argued that the scientific method should be followed as closely as the subject matter allows. When a branch of philosophy at some point fully can start following the norms of the scientific method, it is no longer termed philosophy, but science. ... [philosophy] is the acquisition of knowledge. ... [that] philosophy only is the true one which reproduces most faithfully the statements of nature, and is written down, as it were, from nature's dictation, so that it is nothing but a copy and a reflection of nature, and adds nothing of its own, but is merely a repetition and echo. To repeat abstractly, universally, and distinctly in concepts the whole inner nature of the world, and thus to deposit it as a reflected image in permanent concepts always ready for the faculty of reason, this and nothing else is philosophy. Philosophy is the science by which the natural light of reason studies the first causes or highest principles of all things - is, in other words, the science of things in their first causes, in so far as these belong to the natural order. The object of philosophy is the logical clarification of thoughts. Philosophy is not a theory but an activity. A philosophical work consists essentially of elucidations. The result of philosophy is not a number of ‘philosophical propositions’, but to make propositions clear. Philosophy should make clear and delimit sharply the thoughts which otherwise are, as it were, opaque and blurred. ... [philosophers] are not honest enough in their work, although they make a lot of virtuous noise when the problem of truthfulness is touched even remotely. They all pose as if they had discovered and reached their real opinions through the self-development of a cold, pure, divinely unconcerned dialectic… ; while at bottom it is an assumption, a hunch, indeed a kind of “inspiration”—most often a desire of the heart that has been filtered and made abstract—that they defend with reasons they have sought after the fact. In order to live, man must act; in order to act, he must make choices; in order to make choices, he must define a code of values; in order to define a code of values, he must know what he is and where he is – i.e., he must know his own nature (including his means of knowledge) and the nature of the universe in which he acts – i.e., he needs metaphysics, epistemology, ethics, which means: philosophy. He cannot escape from this need; his only alternative is whether the philosophy guiding him is to be chosen by his mind or by chance. "The point of philosophy is to start with something so simple as to seem not worth stating, and to end with something so paradoxical that no one will believe it." Ducasse, Curt, Philosophy as a Science, 1941. Retrieved September 11, 2017. Durant, Will. The Story of Philosophy: The Lives and Opinions of the World's Greatest Philosophers. Pocket, 1991. ISBN 978-0671739164. Hobbes, Thomas. Leviathan. Penguin Classics, 1985. McGaughey, William. Rhythm and Self-Consciousness: New Ideals for an Electronic Civilization. Thistlerose Publications, 2001. ISBN 0960563040. Putnam, Hilary. Pragmatism: An Open Question. Oxford: Blackwell, 1995. Dreyfus, Hubert. A Companion to Phenomenology and Existentialism. Blackwell, 2006. Harwood, Sterling, ed., Business as Ethical and Business as Usual. Belmont, CA: Wadsworth Publishing Co., 2000. Woodruff Smith, David. Husserl. Routledge, 2007. Metaphysics: An Anthology, by J. Kim and Ernest Sosa, Ed. Blackwell Philosophy Anthologies. Oxford, Blackwell Publishers Ltd. 1999. The Oxford Handbook of Free Will. edited by Robert Kane. 2004. Encyclopedia of Philosophy (8 vols.) edited by Paul Edwards; in 1996, a ninth supplemental volume appeared which updated the classic 1967 encyclopedia. Angeles, P. A., (ed.) The Harper Collins Dictionary of Philosophy. New York, Harper Perennial, 1992. Ayer, A. J. et al. (ed.) A Dictionary of Philosophical Quotations. Blackwell Reference Oxford. Oxford, Basil Blackwell Ltd., 1994. Blackburn, S., (ed.) The Oxford Dictionary of Philosophy. Oxford, Oxford University Press, 1996. Bunnin, N. et. al., (ed.) The Blackwell Companion to Philosophy. Blackwell Companions to Philosophy. Oxford, Blackwell Publishers Ltd., 1996. Mauter, T., (ed.) The Penguin Dictionary of Philosophy. London, Penguin Books. Popkin, R. H. The Columbia History of Western Philosophy. New York, Columbia University Press, 1999. Runes, D., (ed.) The Dictionary of Philosophy. New York, The Philosophical Library, Inc., 1942. Retrieved December 14, 2018. Stanford Encyclopedia of Philosophy - Annotated Bibliography on Analysis. Contemporary Philosophy of Mind: An Annotated Bibliography. The Principles of Friesian Philosophy. What Philosophy Is, Philosophical Society.com. Philosophy Now, a philosophy magazine. What Can I Do With A Master’s Degree In Philosophy? This page was last modified on 25 March 2019, at 19:38.